It was recently established that the 2013 gamer is perplexed by some parts of 1994's Super Metroid. The 2013 gamer is having some issues with 1990's Super Mario World, too. We can see these struggles on the Nintendo Wii U's Miiverse, a community accessible primarily through Nintendo's new console. 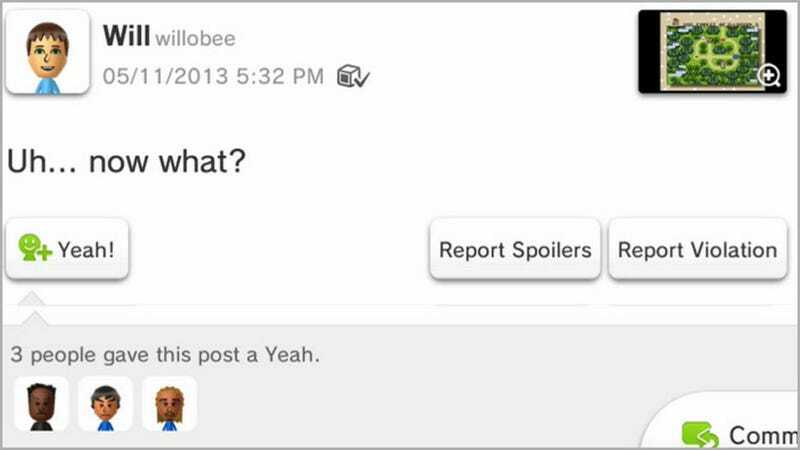 The Miiverse enables gamers to take screenshots of what they're playing on the Wii U and then ask other system owners for help. Here's the Miiverse's now-infamous requests for Super Metroid assistance. And here's our own take on Super Mario World, a game we finally got around to reviewing.